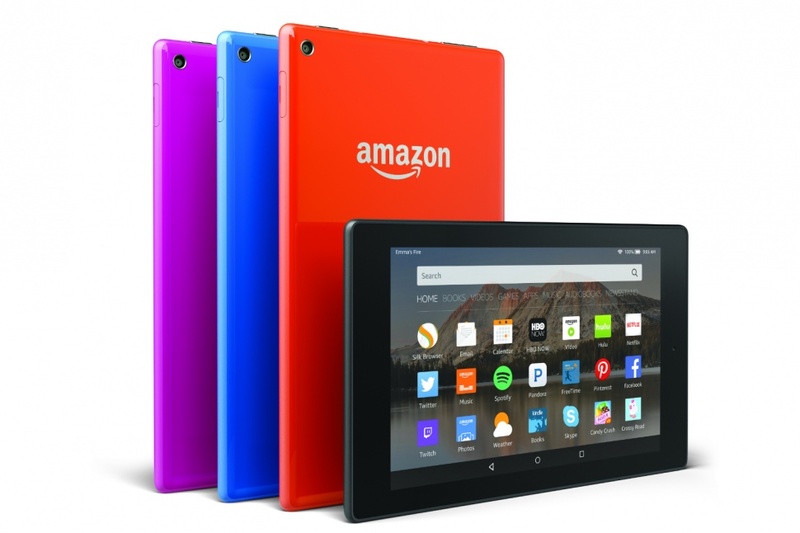 Amazon recently announced several new devices in the Kindle Fire line. They announced four new tablets. They are the Fire HD8, Fire HD10, the Fire and the Fire Kids Edition. The Fire HD8 and the Fire HD10 are the new flagships for the Fire line coming in at 8 and 10.1 inches. Both devices will be running a 1.5GHz quad-core processor and 1GB of RAM. The HD8 comes in an 8GB and 16GB variety with the HD10 coming in a 16GB or 32GB. The HD8 will start at $150 and the HD10 will be $230. However, the most interesting announcement came when they announced the new Fire. It will sell for $50 but can also be purchased in a six-pack for $250 (buy four get one free). The Fire will is definitely a budget tablet with a 1.3GHz quad-core processor, 8GB of internal storage and 1GB of RAM. It comes with a 7 inch screen and a 1024×600 resolution. The Fire Kids Edition is essentially the same device as the Fire with a huge protective case wrapped around it. Specs comparison below from Amazon.com. email, web, and phone Coming soon—On-device Mayday Screen Sharing.